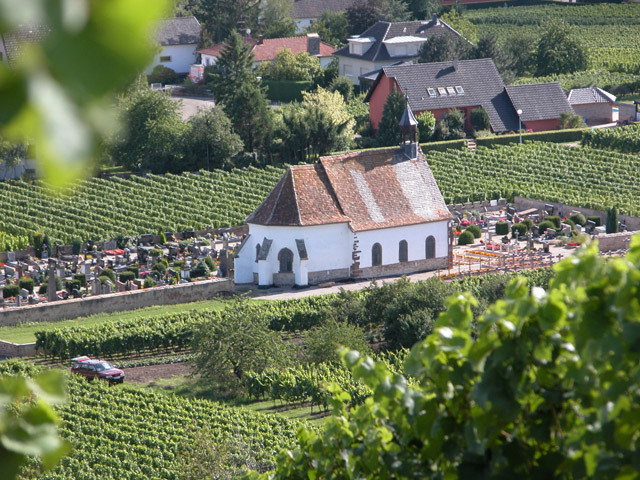 The village, dominated by the Statue of the Sacred Heart, erected in 1912, on Horn hill, as a symbol of peace, owes its reputation to its renowned vineyards and more particularly to its Riesling grape variety. Set amid the vines, Saint Denis’ chapel (16th century) is surrounded by a cemetery where one can see a number of statues by the sculptor, Philippe Grass, a native of Wolxheim, as well as being the artist who created the statue of General Kléber in Strasbourg. The Canal district was created in 1682 during the excavation of the Bruche canal which links Wolxheim to Strasbourg and passes through eleven locks.